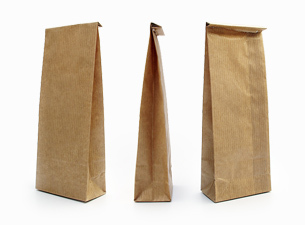 These bags are made of brown Kraft paper on the outside and white Kraft paper on the inside. 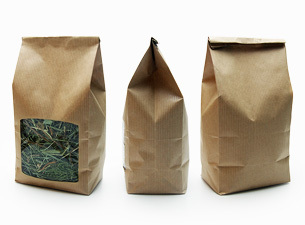 Bags of this type are usually used for the packaging of coffee, tea, biscuits, candies and bulk products. These bags are made of printed and laminated paper on the outside and white Kraft paper on the inside. Silver exterior catches attention and ensures that packaged products become more outstanding. 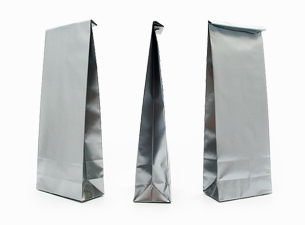 These bags are usually used for the packaging of coffee, tea, biscuits, candies and bulk products. These bags are made of printed and laminated paper on the outside and white Kraft paper on the inside. 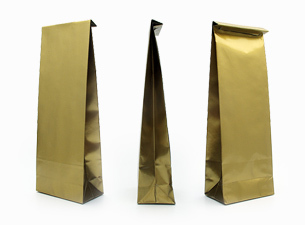 Golden exterior catches attention and ensures that packaged products become more outstanding. These bags are usually used for the packaging of coffee, tea, biscuits, candies and bulk products. 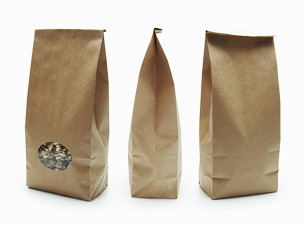 These bags are made of brown Kraft paper and have a transparent round window, which provides consumers with the possibility to see the product within the bag. Bags of this type are usually used for the packaging of coffee, tea, biscuits, candies and bulk products. These bags are made of textured brown Kraft paper and have a transparent square window, which provides consumers with the possibility to see the product within the bag. Bags of this type are usually used for the packaging of coffee, tea, biscuits, candies and bulk products. Multipurpose square bottom bags* are very handy: the square bottom ensures a steady sitting of the packaging on the shelf. * Square Bottom Bag, Block Bottom Bag, SOS Bag. We are a young company established in 2010 and specializing in the manufacture of packaging. 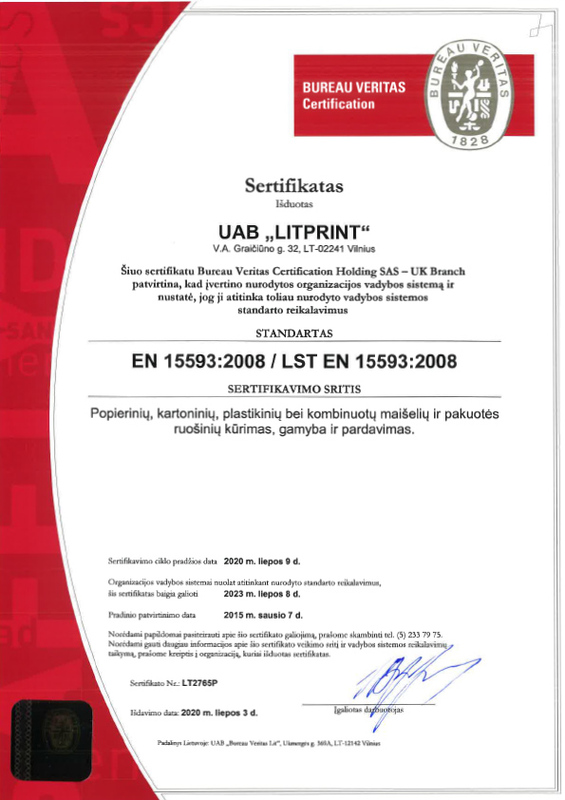 Since the beginning of business activities, we have been focusing on cooperation with tea packaging companies in Baltic region. Our goal is to provide customers with such bags that would enable them to solve key tasks in marketing, safe packing and logistics. To achieve this we are developing technologically innovative methods of manufacture, we also keep improving equipment and the process of manufacture. 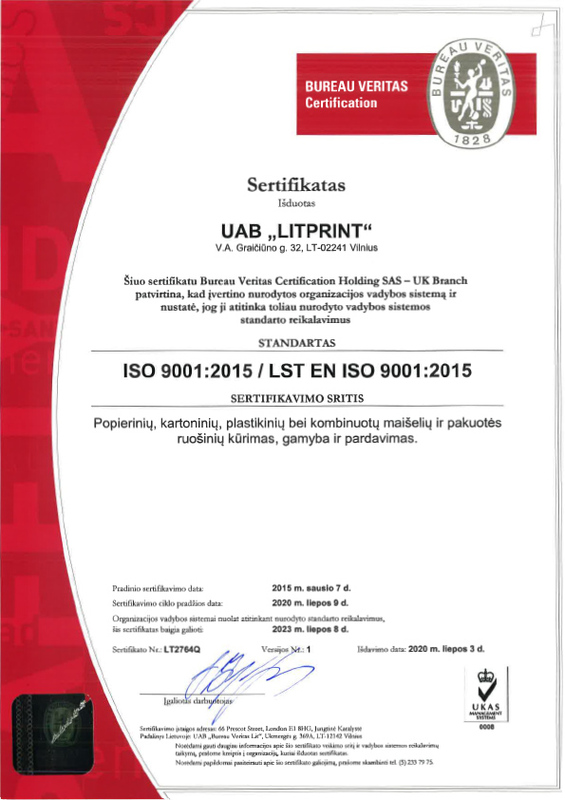 In 2014 Litprint company was found to conform to the management system standard ISO 9001:2008 and to the Packaging Management of hygiene in the production of packaging for foodstuffs EN 15593:20087 / LST EN 15593:2008 for the manufacture of packaging.